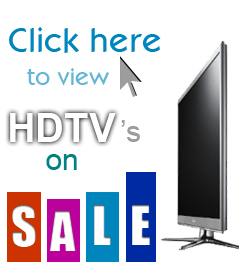 1080p HDTV Reviews - LED, Plasma and LCD 1080p HDTV Reviews for Free! When shopping for a new HDTV, screen resolution is one of the first features people look at and one of the main features that every TV manufacturer promotes. 1080p resolution has basically become the new standard in HDTV. 720p (still HD) was a very popular resolution in earlier HDTV’s but is quickly becoming outdated and you typically only find it in cheaper HDTV’s or very small HDTV’s. You should keep in mind that the difference between 720p and 1080p resolution is basically impossible to detect in smaller screen sizes (approximatley 42″ and below) so if you are in the market for a small TV, you shouldn’t be too concerned about a 720p HDTV. Also keep in mind that many HD signals aren’t even in 1080p yet. Most networks like CBS, ABC, NBC, etc. broadcast in 720p or 1080i so you aren’t missing much from broadcast TV. The primary sources for 1080p content come from Blu-ray players, PlayStation 3 and other services like Vudu, Roku and Netflix. 1080p HDTV’s are available in LCD TV, Plasma TV and LED TV. 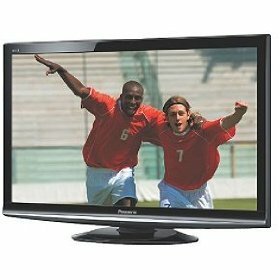 Nearly all major manufacturers like Samsung, Vizio, Phillips Magnavox, Polaroid and others have a greater selection of 1080p HDTV’s. In fact, they are available in most sizes including 32″, 37″, 42″ 47″, 50″, 52″ and higher. Who Should Buy a 1080p HDTV? If you’re in the market for a HDTV, you’ll likely end up with a 1080p TV by default. If you plan on watching Blu-ray discs or other content available in 1080p, we highly recommend going with this resolution. However, if you’re looking for a smaller TV and you find a great deal on a 720p, don’t worry about buying an “inferior” TV. You won’t notice the difference between the two resolutions. Which 1080p Brands Should You Buy? There are pro’s and con’s of almost every brand. If you are more concerned about sticking to a tight budget and are not as concerned about the exterior appearance of quality of picture, you may be interested in brands like Element, Insignia, Envision and others. However, we typically recommend stepping up to a moderate or high-end TV. There is some truth to the phrase “you get what you pay for” in HDTV’s. While it isn’t always the case, it tends to be true between budget brands and mid to high-end brands like Vizio, Sony, Panasonic and others. If you’re in the market for a new HDTV, continue reading to find our 1080p HDTV reviews.